Depression is a lot more common in the world than most people know. It can often be especially devastating when it shows up at a time when individuals are already prone to emotional lows, such as the late teenage years or mid-life. Depression is a serious issue no matter when it occurs, however, as it is a condition that propagates itself and worsens when left untreated. The symptoms of depression are easily recognized and they can be recognized rather easily in others as well if it is bad enough. These include lack of motivation, inability to focus, over-sleeping or under-sleeping, and general feelings of fatigue, aloneness, helplessness and isolation. If you are suffering any of these symptoms or recognize them in someone you love, then now is the time to seek treatment. Depression is a very difficult thing that affects over half of the people in the world at some point in life. It can be very elusive and show up at the worst times, and if not treated properly can trigger a mental and emotional downward spiral that is very hard to break out of. People of all different cultures have been trying to treat depression with various methods since ancient times, and only recently have we acquired the technology to engineer laboratory compounds to address these issues. However, often times these compounds (such as Prozac and Zoloft) come with so many side effects that they end up further damaging the mental state of the patient. So while the advances in science of the last century have grown leaps and bounds in terms of treating depression, there now exists a push to get back to natural treatment methods. Until now, the problem with natural treatments has been that their effects just aren’t strong enough to shake someone out of deep depression. Most doctors and scientists agree that the most effective natural treatment for depression is exercise and sunlight, but people who are depressed usually lack the motivation necessary to get either of these. Some people claim success with supplement extracts such as fish oil, but more often than not these treatments cause no observable change in the subject. On the other hand, laboratory engineered drugs are often too strong and end up causing additional stress and anxiety to the victim instead of relieving these symptoms. These are drugs that alter the levels of serotonin and dopamine flow in your brain. 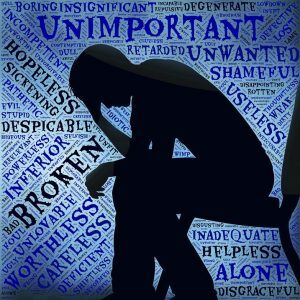 While scientists have determined that the levels of these chemicals are indeed abnormal in victims of depression, artificially altering them and trying to get them back to normal can often do more harm than good. Seritol is a brand new product that combines the power of several natural depression treatments into one extraordinary proprietary blend that will give you the mood lift you’ve been looking for. It contains no laboratory chemicals that often further mental instability rather than rein it in. All of the ingredients in Seritol are 100% natural and safe, and have been tested extensively to be effective. You may be wondering what separates Seritol from other natural depression remedies. The simple answer is that most other natural remedies are based on just one ingredient or some random concoction. Seritol contains a balanced combination of the following natural supplements: Vitamin B6, Yi Shi Ren, St. John’s Wort, 5-HTP, Passion Flora, and Melatonin. Not only are all these ingredients 100% safe to consume, they have been thoroughly tested and researched to find the perfect balance. This way, each ingredient perfectly complements one another and combines to lift your mood in the most effective and natural way possible. Not at all; Seritol is available for anyone to use without a prescription. Since its ingredients are all natural cures, no government regulated chemicals are used. This is just one more reason to trust the power of Seritol as it poses absolutely no threat to your mental health and will do nothing but help. The general directions are to take two capsules with food. The capsules are time released to space out their effect throughout the day. Of course since the ingredients are harmless, the capsules can be broken up and mixed with food for people who have a hard time swallowing pills. Each bottle comes with sixty capsules, which when taken daily at the recommended dose should last about a month. Since Seritol is an all-natural depression treatment, you should begin feeling boosts of energy and a lift in mood rather quickly. Once you feel yourself lifting up out of depression, it is then time to make sure that nasty depression never comes back. Therefore, it is recommended to use the energy provided by Seritol as a motivation to get some exercise or spend some time outdoors. These are the sort of activities that, combined with the mood-enhancing effects of Seritol, will ensure that you can lead a happy, normal life without the dangerous side effects of pharmaceutical treatments. So try Seritol today: they offer a money-back guarantee so you really have nothing to lose and everything to gain. Again, it can’t be stressed enough that Seritol is 100% safe and natural. So if you are worried about the side effects of medications like Prozac and Zoloft (or have experienced them first-hand), then you really owe it to yourself to order a bottle of Seritol today.